These are Styrofoam heads from Sally's Beauty Supply and then covered with different themed magazine clippings. Perfect for that hat display. Custom Themes Available, just ask! 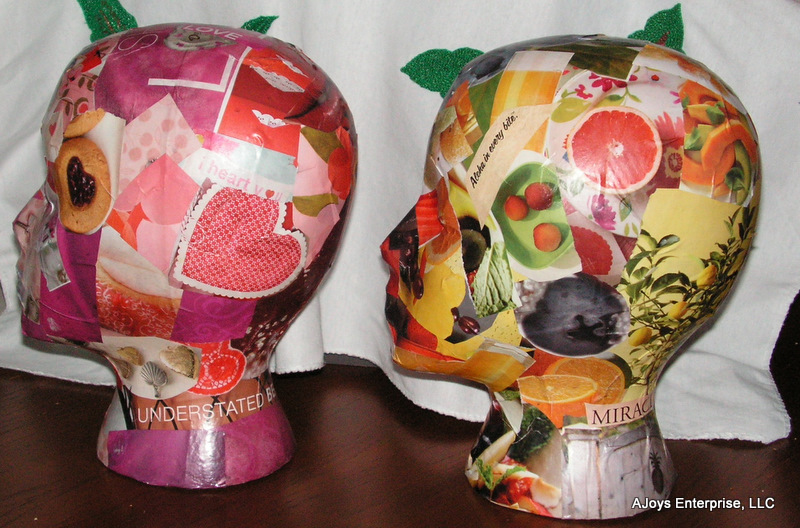 Here we have the "Love Head" and "Fruit Head"
Please tell me what theme you would like your head, and I'll let you know if I have the clippings needed!